In July 1965, a discussion between Past Optimist International President, Carl Bowen and former FBI Director, J. Edgar Hoover resulted in the birth of the Respect for Law Program. This program inspires respect for the law among young people and acknowledges the outstanding contributions of those charged with law enforcement. Each year the first full week of May is designated Respect For Law Week. 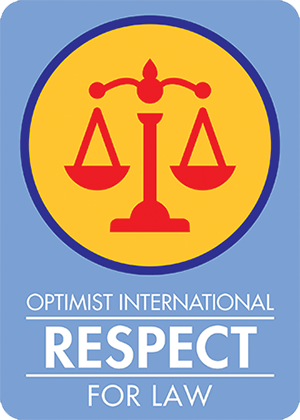 The three Optimist Clubs in Huntsville and Ft. Payne select and recognize deserving law enforcement professionals in the Madison and DeKalb County area with Optimist Respect for Law Awards. We believe it is important for children to grow up with a strong belief in abiding by the law, respecting law enforcement and doing what they can to maintain peace. The Optimist Club of Huntsville works with the Madison County Sheriff to select an officer from his department. A banquet is held each year in early May. Over one hundred Optimists gather together to honor the four honorees.